Artists of the fifteenth through seventeenth centuries devise unusual ways to integrate writing into their works. Fascinated by the shapes of the letters, they create figure alphabets in which the contorted bodies of humans and animals stand in for the strokes of the pen. Dialogues, legends, and titles on banderoles bring images to life and help the beholder make sense of them. Verbose captions take up a great deal of room. These elements appear in portraits and depictions of biblical scenes, but also in illustrations of historic events. In chronicles, cityscapes, and world maps, writing is the central organizing device. 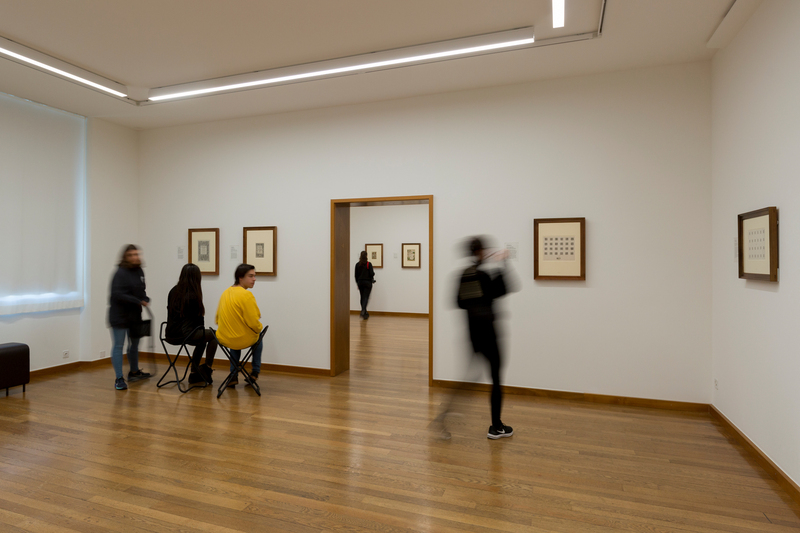 The exhibition showcases selected eminent works from the Kupferstichkabinett to shed light on the multifaceted interplay between writing and image.